That information comes from two people who are familiar with Bibi's whereabouts but insisted on anonymity because of fear for their safety. Islamabad: A Christian woman acquitted after eight years on death row for blasphemy has been freed from jail and while an offer from the European Parliament has been made to protect her family, those familiar with her whereabouts say she is still in Pakistan. 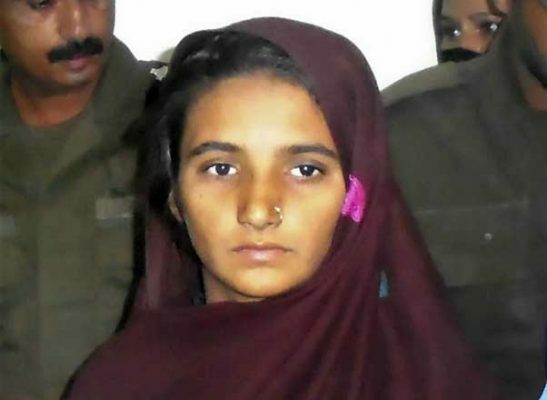 Aasia Bibi was with her family and under heavy security on Thursday after being transferred to Islamabad under cover of darkness from her prison cell in south Punjab the night before. That information comes from two people who are familiar with Bibi’s whereabouts but insisted on anonymity because of fear for their safety. A letter from European Parliament President Antonio Tajani, a copy of which was seen by The Associated Press, invited the family to Europe. Her location is secret because religious radicals are demanding her death.